We are grateful to the Heritage Lottery Fund, the Red Store Community Interest Company, and the Lerryn Women's Institute for funding this project. We are grateful also to St Veep Parish Council, St Winnow Parish Council, Lerryn School, Cornwall Records Office and the Cornwall Audio Visual Archive for their letters of support in our grant application..
Lerryn village is situated in the county of Cornwall near the historic town of Lostwithiel. It is divided between the ecclesiastical parishes of St Veep and St Winnow. It straddles the River Lerryn, a tributary of the River Fowey with the river being the boundary of the two parishes. Generally speaking the part of the village on the south bank of the river falls in St. Veep and that on the north bank falls in St Winnow. The landscape is beautiful, gentle hills and valleys cared for and cultivated by many generations of farmers. 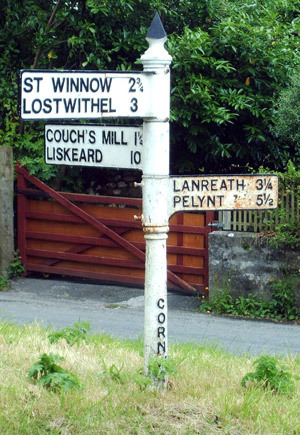 Lerryn History Society researches and records the development of the parish of St Veep, and the part of the parish of St. Winnow that lies in Lerryn, as well as the settlements of St. Winnow and Couch's Mill. For the area covered please see the map. The decision to form this group was the result of several developments in the village; a comprehensive photo archive was available following a millennium exhibition, a prominent listed building (the Red Store) was restored with some technical equipment installed, and over the years historical documents and records of local events had been amassed. In 2011 there was sufficient enthusiasm to form a group to actively promote, research and record the development of the area. The purpose of this website is to preserve and expand the collection for future generations. Members are recording a range of subjects which reflect rural life, from the history of houses to the background of village groups and societies. It also captures reminiscences of working and village life as well as archiving existing material which is in its possession. The next Members' Event will be on Wednesday 24th April 2019 at 7.0 P.M in the Red Store, Lerryn when Angela Aylward will talk about "The Blighs of Cornwall, much more than a Mutiny". If you have memories of life in the parish and would be prepared to take part in a video, audio or written interview please contact us.